Left-leaning, progressive, middle class intellectuals and political activists have long bemoaned the lack of political alternative and the unwillingness of the leftist and bhaddarlok activists to enter the cauldron of electoral politics. Could Zonayed Saki’s Candidacy Be A Democratic Moment For Us? Hegel had once remarked, “Reading the morning newspaper is the realist’s morning prayer. One orients one’s attitude toward the world either by God or by what the world is. The former gives as much security as the latter, in that one knows how one stands.” Leaving aside the questions about the newspaper’s ability or willingness to report “what the world is” and fact that Facebook is fast replacing the newspaper as the mechanism for orienting “one’s attitude towards the world”, I am happy to report that my attitude towards the world took a positive leap today after reading in a newspaper that Zonayed Saki will be contesting in the upcoming Dhaka mayoral election. In the passages that will follow I will explain the roots of these emotions. In addition, I will try to sketch out how these positive feelings can be translated into programs of positive action. Reading the newspapers in Bangladesh over the last three months has been a harrowing experience – strikes, blockades, petrol bombs, charred lives, crossfires, disappearances, and police harassments have seemed to become permanent fixtures on newspaper pages and public consciousness. Yet, there has been very little reaction to all of these, as if, they have become the “new normal.” We have accepted these atrocious conditions in silence much the way we have accepted the dysfunctional politics of Bangladesh of the last two decades. The energy and optimism of anti-Ershad movement of the late 80s evaporated soon after the establishment of democracy in 1991. Over the last twenty-four years, adoption of neoliberal policies, militarization of the state, failure to provide basic security and welfare to citizens, systematic denial of civil liberties and protection of law, and oppression of minority groups have been carried out by all the democratic governments. The political parties have failed to work out a stable compromise on even the basic minimum of democracy – free and open election and working parliamentary procedure. Under democratic governance Bangladesh has achieved the status of one of the most corrupt countries of the world and Dhaka has become the second least livable city in the world. But the worst of all is the fact that we, the people of Bangladesh, have come to accept all of these in silence. The suffocating silence of Bangladeshi people about their dysfunctional democracy can be explained by few factors. First, despite the dysfunctional politics the countries economy has grown by six to seven percent annually. The beneficiaries of this remarkable economic growth have apparently adopted the stance of “pete khaile pithe shoy” [getting beat-up is quite acceptable, if the belly is full] and have chosen not to stir the pot. Second, and more plausibly in my opinion, Bangladeshis have been silent because there hasn’t been any alternative political force around which people can gravitate and challenge the status quo. 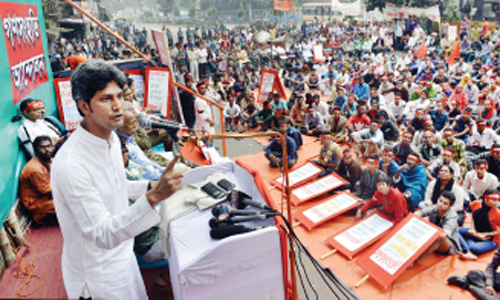 The old left parties like the Communist Party, the Workers Party, and the JSD have failed the people of Bangladesh through organizational weakness. They have been bogged down by their dogmas and sectarian infighting, have failed to reach the masses or instill any hope. Dr. Yunus’s ill-planned foray into politics and even more ill-conceived decision to drop out suddenly have poured cold water on the hopes of any civil society inspired version of a political party. Organizations like the Ain O Shalish Kendra or the National Committee to Protect Oil Gas Mineral Resources Power and Ports have fought commendably on behalf of Bangladeshi people but they have little political aspirations beyond carrying out watchdog functions. All in all, the lack of alternative political forces left Bangladeshi people to endure a dysfunctional democracy in silence. Left-leaning, progressive, middle class intellectuals and political activists have long bemoaned the lack of political alternative and the unwillingness of the leftist and bhaddarlok activists to enter the cauldron of electoral politics. But the decision by Zonayed Saki to contest in the Dhaka City Corporation election is a welcome break. Those of us who know Saki and his party Gonosonhoti Andolon can vouch for the vision and dedication of the party members. I hope in the coming days we are going to learn more about Saki and particulars of his election platform. We can then decide based on policies and programs whether we want to vote for him. This is surely a welcomed change in Bangladesh’s politics. Electoral decisions based on policies, debates, and ideas. Facing nationally funded candidates with huge infrastructure, Saki’s candidacy will face many challenges. However, it is more significant than just providing us with a left candidate that we can vote for. Saki is important not only because who he is or what his campaign is but also because what he can become or what we can make of his campaign. If we simply wait for the election-day to vote for Saki, his candidacy will not matter much. However, if we all get involved in debating his campaign and unleash our pent-up political energies, we will surely help to bring a small incremental transformation in the political landscape of Bangladesh regardless of the election results. Democratic theorist Sheldon Wolin had argued that democracy cannot be institutionalized and routine elections are not democratic all. Rather, democracy exists only in fugitive democratic moments, when disparate individuals come together as democratic masses and make political demands upon the existing political structure. Democratic moments are fugitive or temporary because the democratic mass does not sustain long as a collective body as individuals sooner or later go back to their private lives and interests. Nevertheless, the democratic moments often produce radical or even revolutionary changes in political discourses, structures, and consciousness. These democratic moments determine the parameters of future institutionalized politics of the professional politicians. These democratic moments determine what the politicians must do and what they can’t do. 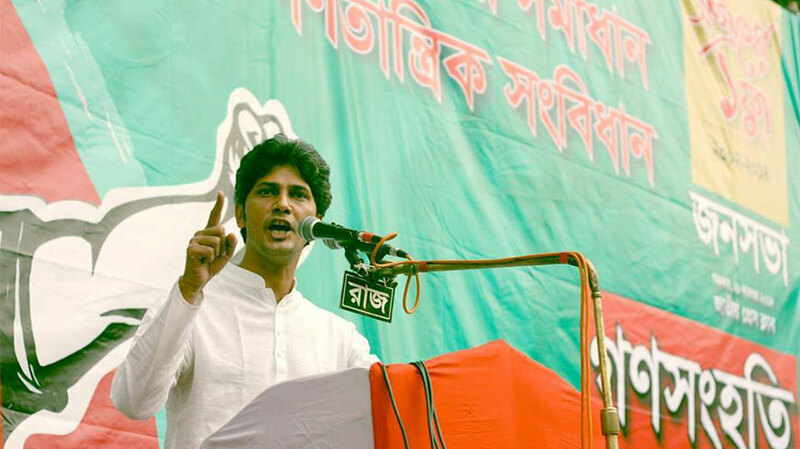 Can we make Saki’s electoral campaign one such democratic moment for Bangladesh’s politics? Surely we can. Saki has done the first part by stepping up to the political arena and opening up the opportunity for us to join. Now, it is our time to wake up from our cynicism and petty self-interest. Now, it is the time to join Mr. Saki’s campaign and make it ours. Now, it is up to us unleash our energies, desires, and imagination to make Mr. Saki’s campaign a vibrant, popular, and effective election campaign in Bangladesh’s history. It is time to make this opportunity count and make an effort to shake the established political system. If the Greeks can do it (think of Syriza), if the people of Seattle can do it (think of Kshama Sawant), and if the Delhiaties can do it (think of Aam Aadmi Party), why can’t we? Yes, we can change the course of Bangladesh’s politics. We can at least try. What a remarkable change of my orientation towards the world as compared to yesterday, when I was wallowing in despair about Bangladesh’s future and our misfortune. Thank you, the newspaper that brought the news of Saki’s inspiring decision to fight in the ring of electoral politics– a space that has been object of much agitation but very little participation in recent years. Humayun Kabir is a Ph.D. candidate in Political Science at the Graduate Center of City University of New York. Wolin, Sheldon S. 1994. “”Fugitive Democracy”.” Constellations 1 (1): 11–25. 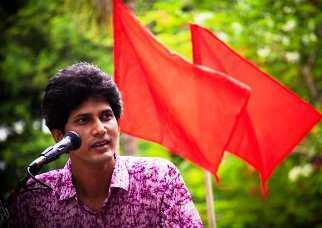 Next Zonayed Saki: What could a leftist leader offer Bangladesh today?